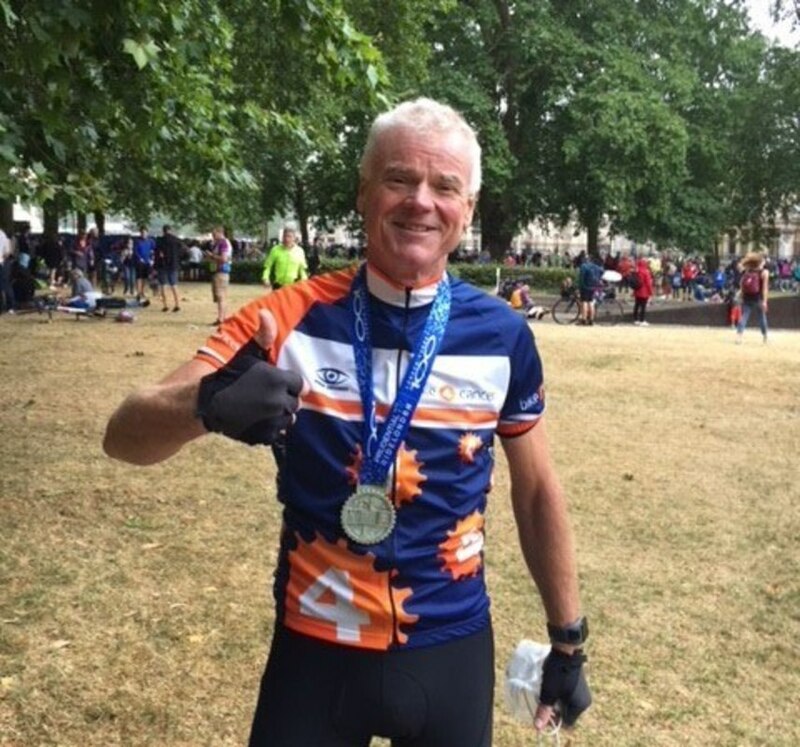 On Sunday the 29 July 2018, Ray Fuller will be joining 20,000 cyclists for the RideLondon - Surrey 100 bike ride. Ray will be cycling in aid of Bike 4 Cancer! 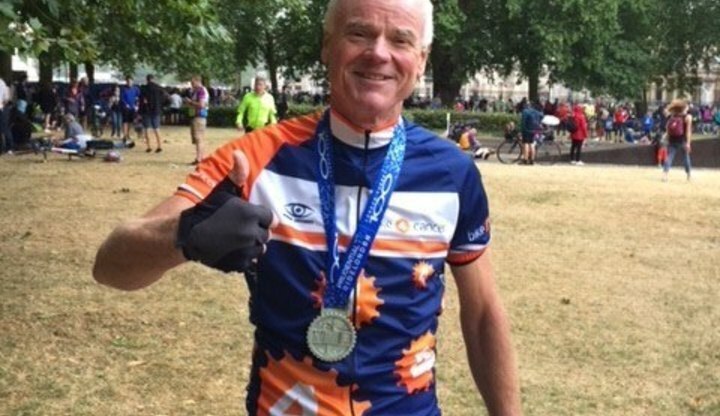 The route will see Ray cycling past famous landmarks as he leaves London before crossing into Surrey's stunning countryside. "Welcome to my fundraising page. Please help me raise funds for a really worthy cause. I have tried for some years to ride the Prudential Ride London-Surrey 100. This year, thanks to my friends at Bike 4 Cancer I have been given the opportunity to participate, realise that ambition and at the same time, do some good! It’ll be a tough challenge as I am currently recuperating from major surgery, but it’s not about the time or speed, to finish will be a great achievement and one that I hope will ultimately go some way to helping others. This is an opportunity for me to enjoy a ride and for you to help a charity that is about care, support and respite. I know what that means! Thank you for your generous support." "I successfully completed the ride despite the worst weather we have experienced in recent weeks. Thank you all for your very generous support, it’ll go a long way to making the lives of families affected by cancer so much better. All of your donations so far will provide at least 14 days worth of respite for people living with cancer!" I would wish you luck, but know you are going to smash it and therefore don't need it! Have fun! Great effort, well done Ray given the weather wasn't your favourite. The best of luck Ray!